Back when I first started The Horror Bookshelf I remember reading a novel of J.D. Barker’s called Forsaken, which totally blew me away. It was one of the books I received through a direct author request and I remember reading the synopsis and feeling intrigued at the premise of a famous novelist that slowly loses his grip on reality as he works on his novel Rise of the Witch, which was inspired by an antique journal that is hundreds of years old. Once I finished Forsaken, it was even better than I could have imagined, striking the perfect balance between full-blown horror and a more tense, atmospheric approach. I was totally mesmerized by that novel, which was one of the scariest I had read in some time. So when the opportunity came around to review his latest novel The Fourth Monkey, I jumped at the opportunity. The Fourth Monkey is more of a psychological thriller, but it mines the same dark depths of the human psyche for inspiration that Forsaken did, making it a must read for fans of both genres. The Fourth Monkey opens with Detective Sam Porter receiving an early morning text from his partner Nash about an accident downtown that he swears Porter is going to want to see for himself. When he arrives on the scene, he realizes the reason Nash was so anxious for him to visit the crime scene is that the man appears to be the infamous Four Monkey Killer. The Four Monkey Killer was a vicious serial killer who terrorized the city of Chicago for over five years, brutally torturing his victims before he killed them. While investigating the crime scene, Porter and his partners realize that the killer was on his way to mail one of his signature packages – a white box tied with a black string – when he was hit by the bus. This means that the Four Monkey Killer had one final victim who may or may not still be alive somewhere in the city. The man only had harmless, every day items in his possession including a dry cleaner receipt, a pocket watch and .75 cents in change. However, closer inspection revealed he was also carrying a diary, one that details his story in his own words. Detective Porter finds himself drawn into the mind of this psychopath, hoping it will provide some insight into the Four Monkey Killer’s motive and help them locate his final victim before it’s too late. The characterization of this novel is stellar. Early in the novel when Porter realizes his wife Heather went out to run errands, he dials her number and reaches her voicemail which paints a vivid picture of her as a carefree woman who has an excellent sense of humor and probably helps keep Sam grounded. It is these minor moments, that when placed in the context of the entire novel, really make these characters shine. While there are a number of people who make up the Four Monkey Killer task force, Porter is the clear-cut leader and primary character of the novel. Early on Barker hints that there is more to Porter than meets the eye as many of the characters keep asking him how he is holding up, indicating something has happened to Porter that puts his mental state into question. While The Four Monkey Killer always seems to be one step ahead and is extremely intelligent, Porter is possibly the killer’s closest equal. There is a scene that highlights this perfectly. The task force stumbles on a crime scene where Porter mentions the man was probably alive for two days before his death. His coworkers ask how he could possibly know that, and he states the man was well-groomed and probably shaved once or twice a day, yet he has a few days of beard stubble. It is small moments like that where it becomes clear that Porter is a special investigator. For all of his skill as a detective, it is clear he is a bit old school when he doesn’t know what Twitter is. There is also great chemistry between Porter and Nash and it is evident they have been partners a long time considering the ease in which they bust on each other throughout the novel. Nash seems to be a bit more reckless and quick with jokes, but Porter is able to hold his own in their verbal sparring matches. Then there is The Four Monkey Killer, an antagonist whose presence looms over the entire novel. What makes him such an interesting character is that he is like a ghost, never leaving behind any clues other than the ones he wanted the police to find, like the boxes that he mailed to taunt his victims. He was highly intelligent and skilled as evidenced by the fact that he was able to toy with the cops for over 5 years without them even remotely coming close to capturing him. Most of his character development comes from the diary portions of the novel. It seems he is playing a game with whoever is reading it, taunting them to listen to his story and agenda. His opening entries seem to portray a normal home life and you almost begin to connect with him until he hints at a depravity that demonstrates he was unhinged from an early age. Just like Porter, reader’s are thrust into the personal thoughts of a psychopath who details exactly how he transformed into the figure everyone refers to as the Four Monkey Killer. I thought it was an interesting choice to have the Four Monkey Killer’s story largely play out through the scenes from his personal diary. Often with stories that focus on serial killers, whether they take place in novels or film, the events unfold after the person has already made the choice to unleash their darkness and violence on society. The Fourth Monkey takes a different approach and focuses largely on the events that shaped what could have been an ordinary kid into a savage killer. I don’t want to spoil any of the details, but let’s just say that the Four Monkey Killer’s formative years were anything but normal and it’s no surprise he turned out the way he did. I also thought it was interesting to have the book pick up with the death of the Four Monkey Killer, which isn’t a spoiler considering it is part of the back copy. A lot of times thrillers work with the killer still on the loose and the cops slowly gathering clues and going through a variety of suspects before finally arriving to a final showdown of sorts. This story sort of works in reverse of that, the novel instead picks up with the killer already dead and the police trying to unravel his motives and get into his mind to try to save his final victim. That isn’t to say there aren’t plenty of twists and turns involved in this novel, as Barker has plenty of surprises up his sleeve for readers. Just when you think you know where the story is going, Barker throws you a curve ball. 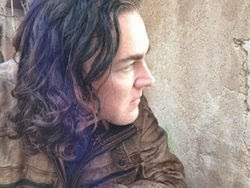 There are a lot of things to love about The Fourth Monkey, but one thing that stands out is something that also stood out with his debut novel Forsaken. Throughout the course of the novel, Barker shifts between chapters (mainly from Sam’s point of view, but sometimes other detectives) focusing on the police investigation and that of The Four Monkey Killer’s diary. A lot of times this can cause the entire pacing of a novel to fall apart if not done correctly, but Barker avoids these pitfalls by placing them at strategic points of the narrative and also by making each story line compelling in its own way. It’s almost like you get two novels for the price of one and honestly, the diary portions of the story could have made for a compelling novel in their own right. The result is perfect pacing that keeps the novel from hitting any lulls. Another minor yet highly effective structural choice is that near the end of the novel, Barker utilizes short, punchy chapters to help ratchet up the tension which snares the reader in a web of excitement. Although it is only a small detail, I loved the casual mention of Thad McAlister from Forsaken throughout the novel. It could just be a casual nod to fans of his work, but a part of me wants to believe that it’s part of something larger at work, that perhaps the two stories take place in the same fictional universe. The Fourth Monkey is being described as Se7en meets The Silence of the Lambs and that is a pretty accurate comparison. The novel doesn’t necessarily borrow heavily from either of those works, but there are some similarities that fans of those works will appreciate. Make no mistake about it, there is some truly dark and disturbing moments in The Fourth Monkey. Without getting into spoiler territory, I will just mention that there are a few scenes featuring rats that may make your skin crawl. 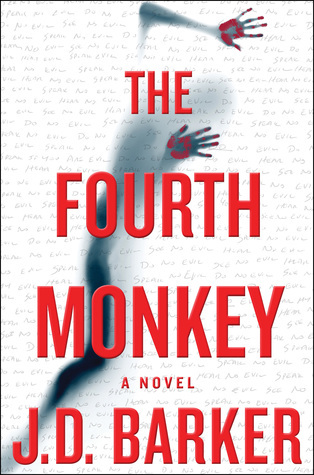 The Fourth Monkey is a chilling thriller that is compulsively readable and offers up plenty of twists and turns that make it an essential addition to your summer reading list. Purchase Garden of Fiends: Amazon, Barnes & Noble, or grab a copy from your favorite bookstore! To celebrate the release of The Fourth Monkey, J.D. Barker is holding two pretty cool contests for people who purchase a copy of the novel. The first is the chance to win one of three draft copies, featuring handwritten notes and different story elements from the finished novel. Here is the link to the contest which will give you the full details on what you need to do to win! Enter to win one of three draft copies of The Fourth Monkey! The next is a chance to appear as a character in J.D. Barker’s next novel. Here is a link with details on how to enter that contest. J.D. Barker (Jonathan Dylan Barker) is an international bestselling American author who’s work has been broadly described as suspense thrillers, often incorporating elements of horror, crime, mystery, science fiction, and the supernatural. Barker splits his time between Englewood, FL, and Pittsburgh, PA, with his wife, Dayna. Sounds like I need this book. Great, thoughtful review. Thanks Shane! I would definitely recommend checking it out, I think you’d enjoy it. If you haven’t read “Forsaken”, I recommend that one too, it’s fantastic!